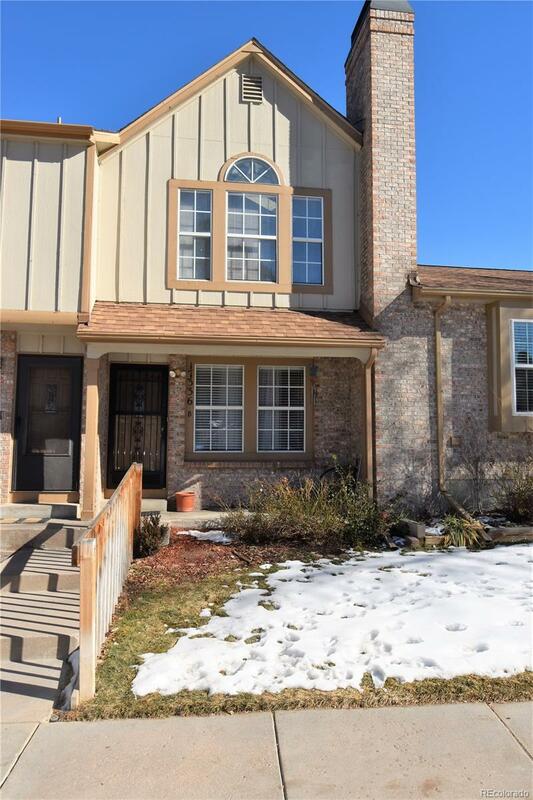 Great Quincy Lake townhome available! Main level features open concept kitchen with breakfast bar, pantry, and nice counter tops that opens up to back deck and fenced back yard. Upstairs boasts master bedroom and bathroom with vaulted ceilings and gorgeous windows. Finished walk-out basement has potential for another bedroom and recreational space. Show and sell today! Offered by Brix Real Estate Llc.